This boat is in very good condition and systems are working well, according to her owner. She has had 3 owners and it's easy to tell how well each owner has cared for her. Owner has purchased a larger boat. Stock #163436 Beautiful 34 Sedan with twin Cummins! African Mahogany sole! Stateroom is finished in cedar & trimmed in mahogany! All new fabric & foam inside & out! If you are in the market for a sportfish/convertible boat, look no further than this 1979 Tollycraft 34 Sedan, priced right at $61,200 (offers encouraged). 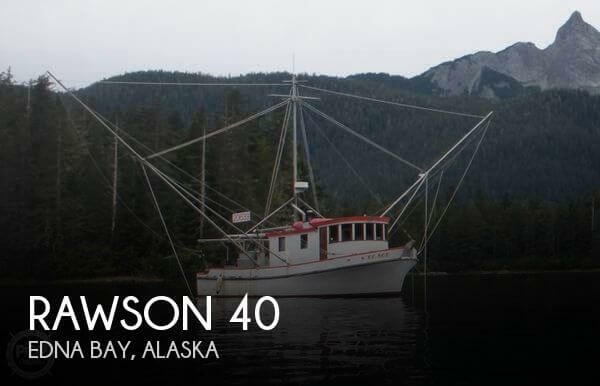 This vessel is located in Sitka, Alaska and is in great condition. She is also equipped with twin Cummins engines that have 1,200 hours. Reason for selling is brought a bigger boat. According to the seller, this unit is in very good condition and had her engines upgraded by the previous owner. We have not yet been on this particular unit yet. All information in this listing is believed to be accurate and correct but at the present time has not been personally verified. We encourage all inquiries and questions relating to its present condition, the accuracy of details including but not limited to its location, engine hours, service history, listing status and features. Stock #170887 Awesome aluminum sport boat with low hours on her updated Cummins engines If you are in the market for a crew boat, look no further than this 1994 Svendsen Marine 38 Jet Sport Cruiser, priced right at $195,900 (offers encouraged). 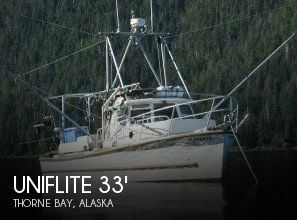 This vessel is located in Douglas, Alaska and is in great condition. She is also equipped with twin Cummins engines that have only 180 hours. Reason for selling is sellers' change in plans forces this sale. Stock #176244 Rear and aft stations - both have throttle and Suzuki troll mode controls. Stainless Props. New Bottom paint; 2 Scotty Downrigger with trolling weight If you are in the market for a pilothouse, look no further than this 2003 Osprey 26, priced right at $127,900 (offers encouraged). This boat is located in Homer, Alaska. She is also equipped with twin Suzuki engines. Canvas has some plastic fade on SB side...Other than that, the boat has been well maintained by the seller, who holds a 100-ton masters license and is also a Bush pilot. Provided 50 years of Alaskan adventure! Sweet unit that will not last long! Please make an inquiry or call for more information, to set a showing or make an offer! Stock #153411 POWERED BY TWIN 2008 315HP YANMAR DIESEL ENGINES!!! READY TO FISH!!! If you are in the market for a sportfish/convertible boat, look no further than this 1990 Blackfin 29 Sportfisherman, just reduced to $79,000 (offers encouraged). 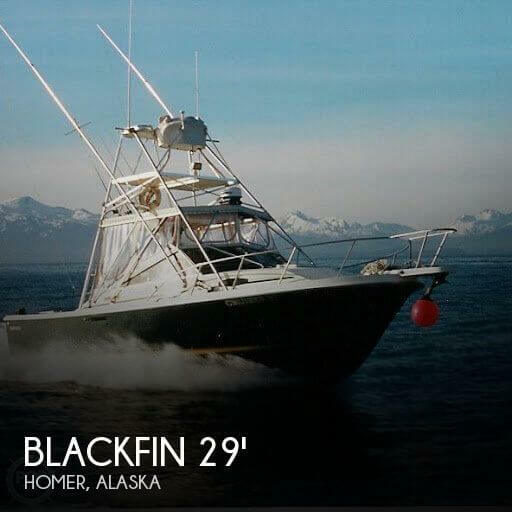 This boat is located in Homer, Alaska and is in great condition. She is also equipped with twin Yanmar engines that have 4,000 hours. According to the seller, this aluminum pilothouse is in above average condition for her age and usage. There are no known issues. The radar may need to be upgraded. The 2017 Kokoelli trailer is in excellent condition, per the seller. Stock #166578 FAST, STABLE & RELIABLE!!! 300HP YAMAHA, ONLY 300 HOURS!!! TRAILER INCLUDED!!! If you are in the market for a pilothouse, look no further than this 1999 Sea Wolf 27, priced right at $132,300 (offers encouraged). 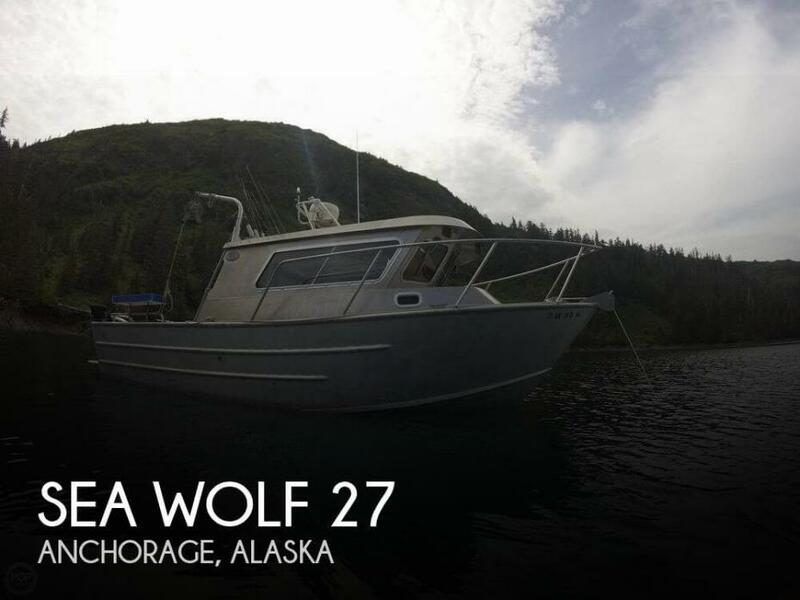 This boat is located in Anchorage, Alaska and is in great condition. She is also equipped with a Yamaha engine that has only 299 hours. Reason for selling is kids prefer the cabin and water skiing more!. Overall this Tollycraft is in above average condition for its age, as the owner continued to upgrade. According to the seller, everything works as it should. Last haul out was in December 2017, new zincs and bottom cleaned. 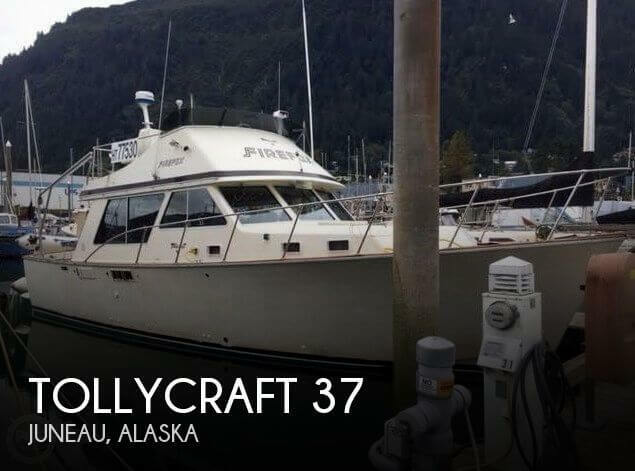 Stock #167248 well maintained 1978 Tolleycraft Sportfisher! Ready to cruise and fish! If you are in the market for a sportfish/convertible boat, look no further than this 1978 Tollycraft 37 Sedan, priced right at $65,600 (offers encouraged). 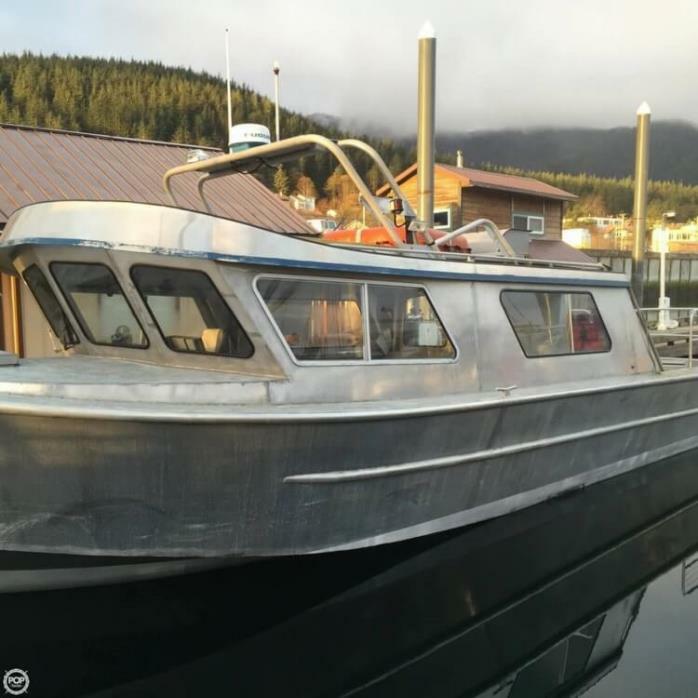 This vessel is located in Juneau, Alaska and is in good condition. She is also equipped with twin Volvo Penta engines that have 1,700 hours. Seller states that boat is in great condition with all systems functioning as expected. The trailer has only seen the water once and is in excellent condition. Sweet unit that will not last long! Please make an inquiry or call for more information, to set a showing or make an offer! Stock #155872 Commercial quality pilothouse fishing/workboat with like-new King trailer! 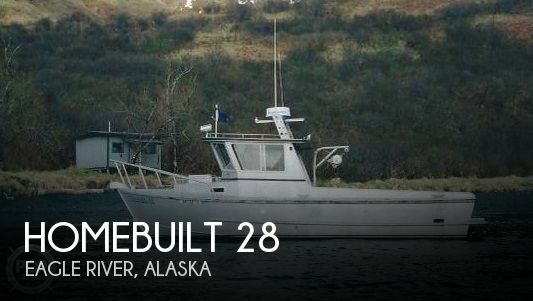 If you are in the market for a pilothouse, look no further than this 1990 Homebuilt 28 Commercial Quality Workboat, priced right at $100,000 (offers encouraged). 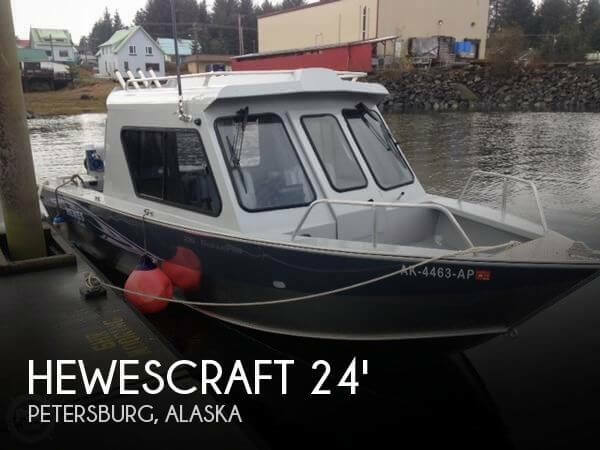 This boat is located in Eagle River, Alaska and is in great condition. She is also equipped with a Yanmar engine that has only 160 hours. The Maxweld Viking is in great shape and has been a reliable daily fishing vessel. It has a Current COI for 22, can also be used as a Six Pac if needed. Per the Seller: Engines are maintained and serviced professionally. She sits 18'1" on her trailer; Flybridge can be removed for road hauling. Stock #163777 Loaded for Bear & Fish! 2007 Maxweld catamaran Sportfishing Lansing craft. Twin Volvo d6 370's If you are in the market for a power catamaran, look no further than this 2007 Maxweld Viking, just reduced to $356,700 (offers encouraged). This vessel is located in Homer, Alaska and is in great condition. She is also equipped with twin Volvo Penta engines that have 3,700 hours. Reason for selling is going bigger, time to invest in another vessel!. 216 gallon of fuel, large fish holds cruise at 26 knots 37 knots full speed 11 gallons an hour at cruise for each 225 Mercury. a Big back deck. This boat has been well maintained throughout and needs nothing for its new owner to do to use her right now. Seller wants to sell. Stock #163714 Powered by twin 225 HP Mercury's that cruises at 26 knots, 37 knots at full! Large fish holds! Full canvas & isinglass enclosure! If you are in the market for a walkaround, look no further than this 2006 Trophy 2902 Walkaround, priced right at $88,900 (offers encouraged). 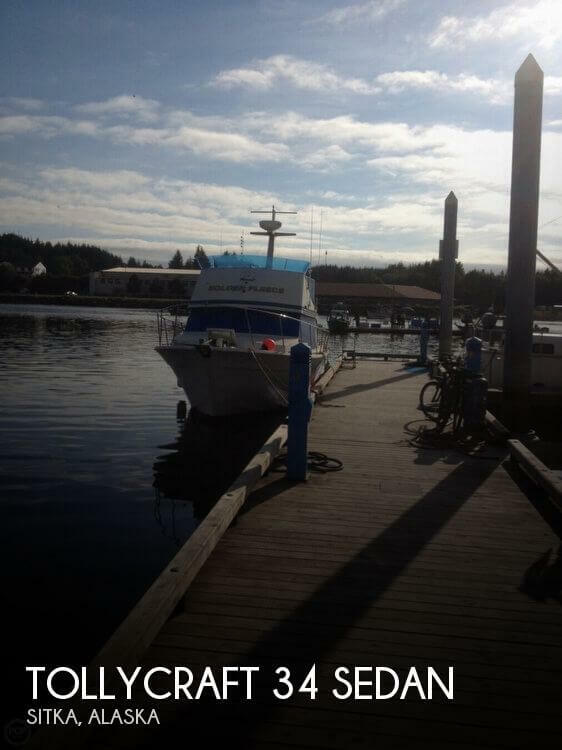 This boat is located in Ketchikan, Alaska and is in good condition. She is also equipped with twin Mercury engines that have 350 hours. This 1978 Sea Ray Weekender runs well and simply needs a new owner. She has been well maintained by her current owners and is ready to hit the water. This is a great starter boat for anyone wanting to explore all that Alaska has to offer without breaking the bank. Stock #082149 Only 168 Original Hull and Engine Hours! If you are in the market for an express cruiser, look no further than this 1978 Sea Ray 26 Weekender, just reduced to $12,800 (offers encouraged). 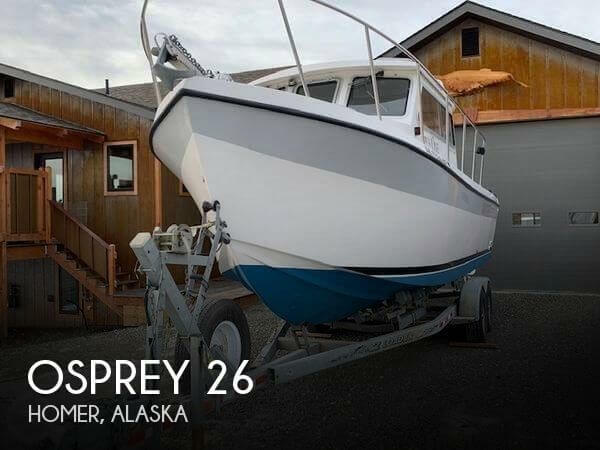 This boat is located in Chugiak, Alaska and is in good condition. She is also equipped with a Mercruiser engine that has only 186 hours. According to the owner, everything is working as it should. The Hewescraft is maintained by a local marina. The owner runs a hunt and fish camp and is retiring and moving back to the lower 48. This Hewescraft has all the bells and whistles with upgrades. 2014 EZ Loader trailer is included in the sale Stock #171651 Lots of extras, This HEWES is ready for you this year, stop fishing and start catching, today. If you are in the market for an aluminum fish boat, look no further than this 2014 Hewes 220 Ocean Pro, priced right at $72,300 (offers encouraged). 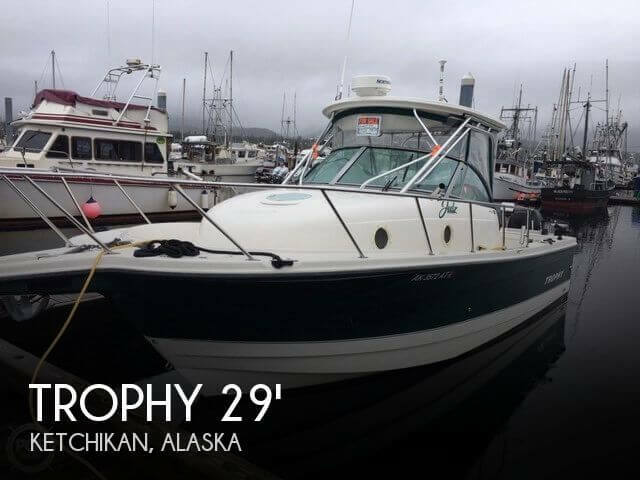 This boat is located in Petersburg, Alaska and is in good condition. She is also equipped with a Yamaha engine that has 830 hours. Reason for selling is selling business. Current owner (Current owner is not sure if he is 2nd or 3rd Owner) say's his 1997 TROPHY 2802 HARD-TOP WALKAROUND is in "Good Overall Condition"...!! As received from the current owner; - Well-maintained - Always serviced annually or as needed - Hours on the Honda outboards are under 100 and were professionally installed; they run smooth and solid..!! ***I have not inspected this vessel in person. Pictures and details have been provided by the owner, please do not hesitate to contact me with any specific questions, to submit an offer, or schedule a showing*** Stock #147802 TWIN 2006 HONDA V TEC 225 HP 4 STROKE OB'S...!! A/C..!! 2008 ALUMINUM TRI- AXLE TRAILER WITH BRAKES...!! WINDLASS..!! If you are in the market for a walkaround, look no further than this 1997 Trophy 2802 Hard-Top Walkaround, just reduced to $44,000 (offers encouraged). 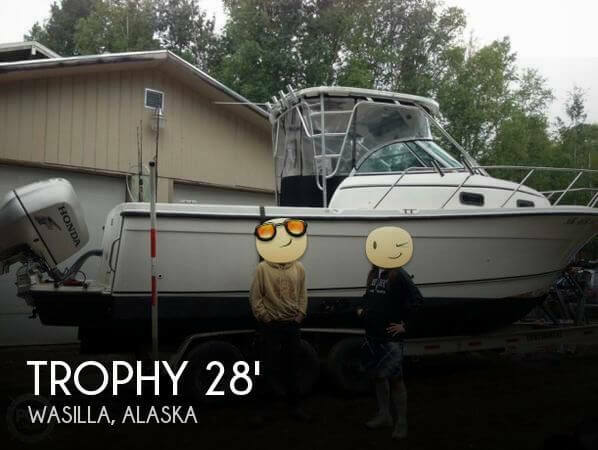 This boat is located in Wasilla, Alaska and is in good condition. She is also equipped with twin Honda engines that have only 100 hours. Reason for selling is not using enough. According to the owner, this boat is in great condition for her age and usage. She has been very well maintained and loved! More photos and specs coming soon. Make your Alaskan dream come true today!!! Stock #162700 This is a great cruising/camping/fishing boat with a great range and will help you reach a lot of fun places for your enjoyment! If you are in the market for an aft cabin, look no further than this 1988 Bayliner 3218 Aft Cabin, priced right at $62,300 (offers encouraged). 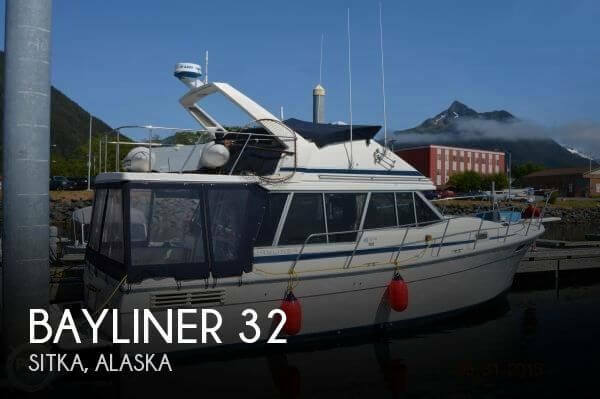 This vessel is located in Sitka, Alaska and is in good condition. She is also equipped with twin Hino engines that have 2,635 hours.